Comeon – Earn a free bet up to €25 every week! 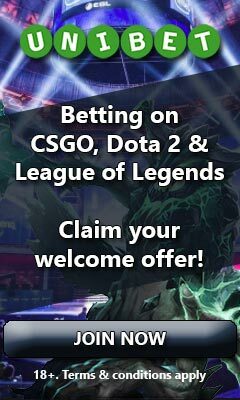 Get rewarded for your combination bets! Wager €50 on combination bets with odds 3.00 or higher to receive a €5 free bet. Wager €100 on combination bets with odds 3.00 or higher to receive a €10 free bet. Wager €250 on combination bets with odds 3.00 or higher to receive a €10 free bet. To start earning your free bets, all you have to do is to create an account with Comeon and opt-in to the campaign through their promotion page. This only has to be done once and you’re then qualified to earn a new free bet every week based on the bets you place. The free bets are always completely free from any wagering, which can make them a really nice boost to your bankroll! For all the bets that you place at Comeon, you’re also earning loyalty points that can be spent in a shop where even more free bets can be traded in. Visit Comeon to start earning free bets!